It was the story that shocked the world: Russian athletics was revealed to be corrupt from top to bottom, with institutionalised doping used to help the nation's athletes win medals they did not truly deserve. There had always been suspicions, but now WADA had the clearest evidence of what had gone on. As a result, Russia was banned from international athletics until they could show that they were competing clean. With the Rio Olympics imminent, it was a shattering blow to the country's prestige. At the heart of it all, however, was a very personal story of a couple who had risked everything. Vitaly Stepanov had been part of the Russian anti-doping squad, and during his work he had met and fallen in love with Yuliya, one of the country's most promising 800m athletes. But soon Vitaly discovered that his bride was not all she seemed: she was taking performance-enhancing drugs. It could have been the end of their relationship, but instead they decided they would reveal the scale and the scope of the corruption in Russian athletics - the bribes, the drugs, the abuse. At enormous personal risk to their marriage and even their lives, they recorded and filmed athletes and officials involved in the scandal, and then escaped to Germany to pass on their devastating evidence. Now, with award-winning journalist David Walsh, the man who broke the Lance Armstrong story, they reveal the full truth of what went on in Russia, and the corrupt system that surrounded everything they did. 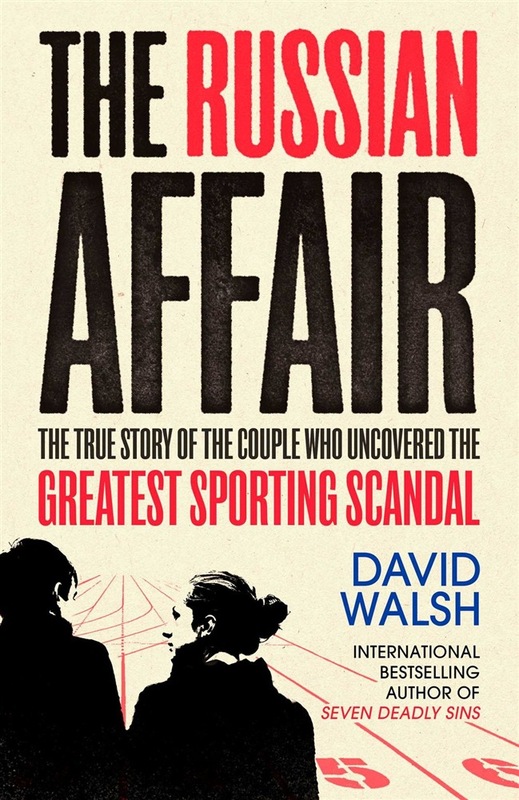 But it is not only an unrivalled and comprehensive account of the biggest sporting scandal, it is a warm and human story of a couple fighting to tell the truth and to save their family at the same time. Acquista The Russian Affair in Epub: dopo aver letto l’ebook The Russian Affair di David Walsh ti invitiamo a lasciarci una Recensione qui sotto: sarà utile agli utenti che non abbiano ancora letto questo libro e che vogliano avere delle opinioni altrui. L’opinione su di un libro è molto soggettiva e per questo leggere eventuali recensioni negative non ci dovrà frenare dall’acquisto, anzi dovrà spingerci ad acquistare il libro in fretta per poter dire la nostra ed eventualmente smentire quanto commentato da altri, contribuendo ad arricchire più possibile i commenti e dare sempre più spunti di confronto al pubblico online.